Sign up for Broadjam today to follow anthony robustelli, and be notified when they upload new stuff or update their news! Anthony Robustelli’s Another Fatal Blow may be the artist’s most accessible and unadorned work to date, and that’s a good thing. 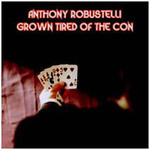 Known for his proclivity for rock and soul with distinctly jazz underpinnings, fans may be pleasantly surprised by Robustelli’s newest release which plainly showcases his R&B, soul and classic rock ‘n roll abilities. On Another Fatal Blow Anthony Robustelli delivers head-bobbin’ hooks, superb melodies, masterful musicianship and outstanding vocal performances track after track. 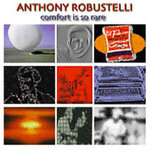 While on songs like “So Far Removed” and “Anxiety’s Confession” Robustelli displays a smart, refreshing and wholly modern take on the classic ‘70s pop soul genre, hard hitting tunes like “Another Rant,” “Your Other Plan” and the lounge-y “Obscene Alibis” prove that Another Fatal Blow is uniquely his own. With Another Fatal Blow Anthony Robustelli delivers a fluid, high energy and utterly enveloping disc.